Step inside my virtual country design studio and enjoy some Papike People Fashion. It is always such a joy to have visitors amidst this crazy and wild world of fashion design. With pattern pieces flying about, bolts of fabric falling from the rafters, and endless amounts of colorful trims tousled on every flat surface, it is a wonder that the pictures of finished collections ever get taken for the actual season to which they belong. You know how artists always seem to be adding to their creative whirlwinds with no time to package, promote, or sell them! But after 25 years in the business, it is still such a thrill to put all these elements together for the spectacular women that have become “PAPIKE PEOPLE,” after whom the current label is named. The colorful, whimsical, and unique coordinated separates are now available online as well as at the studio on shopping days. And Fashion Shows are done twice a year here in San Diego. Be sure to sign up for the mailing list if you would like an invitation to the shows and events where the clothes may be purchased. May you enjoy these special clothes made for special people with loads of creative joy and passion. Studio Shopping is available on designated weekends throughout the year. An email is sent each weekend that the studio will be open, which is about 6 times a year. It is a great way to see everything available, including all the latest styles. It is also a great place to introduce friends to this unique line of clothing. Enjoy being surrounded by fashion at the very place in which it is made, and of course you can try on and get help with sizing and colors. The option to come to the studio by yourself or with friends is easy to arrange and convenient. Contact Sharon @ 619 647-8797 or via our contact form. This is quality time spent on your best wardrobe purchases, and includes perfecting fit, color, and style to your best advantage. If you like this kind of shopping…no malls, parking challenges, waiting in line, or hunting from store to store for a complete outfit, then having an appointment will serve you best. It is a lot of fun and stress-free! These special events where the clothes are transported to the site are held every year. Marina Village is a destination twice a year, fashion shows are so much fun and are arranged with women’s groups, Papike People fans, and fashion lovers. Fashion Shows are no longer done by retail stores as was common years ago. We do them because it is great to see the actual clothes on real people, shop the look, and enjoy fashion in motion. Locations vary throughout the years, and invitations with all the information come via email. Visit us online and take advantage of specials and discounts. New items are continuously added to the site, and you can browse through the blogs, pictures, and articles referring to fashion. Welcome to the world of Papike People! 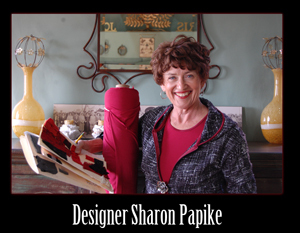 For more Papike People fashions, please visit the Papike People store.